Gabbeh Rugs (also Gabbe), known for their primitive patterns and rustic charm, mostly hand-knotted by nomads and semi-nomadic members of the Kashgai tribe in south-western Iran, though Chobi Gabbehs have been made in Afghanistan and Pakistan for a while. They have a very simple design, often featuring small animals and other figures on a plain background. 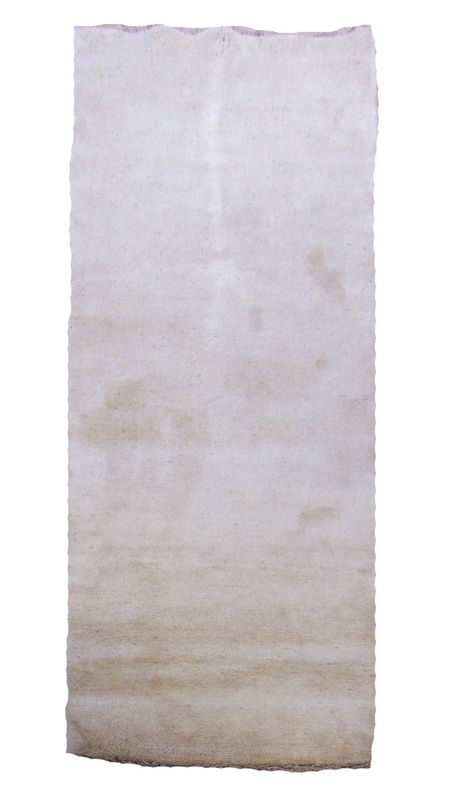 Hand knotted with 100% pure wool pile, warp and weft, their coarse knotting gives a thick pile and heavy construction. The wool is the same as used in Ziegler rugs, giving the same lustre and reflective properties, exhibiting different shades from either end.